For vinaigrette: In a salad bowl, whisk together shrub, syrup and sea salt and set aside. 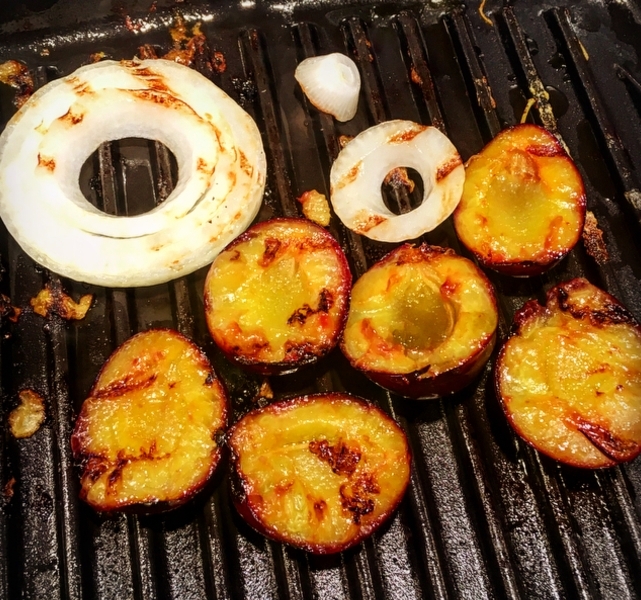 For Plums and onion: Brush the cut side of the plums with olive oil and place cut-side-down on grill. Brush one side of the onion and place it on the grill. Once plums have softened and have nice grill marks, remove to cutting board. Flip the onion over when it has started to soften and continue to cook until fragrant with nice grill marks, remove to cutting board. Slice the plum halves – reserving a few for plating, chop the onion– and place in the vinaigrette to marinate. 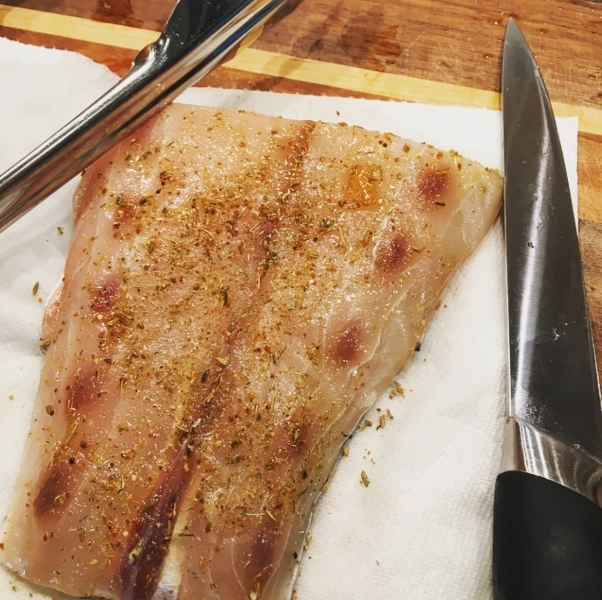 For Sea Bass: Rinse filet and pat dry. Sprinkle with sea salt. When fish begins to glisten with moisture from the salt, rub with finely crushed fennel, rosemary and lavender (or Herbes de Provence) then brush with olive oil and lemon juice and allow to marinate for 10 minutes. 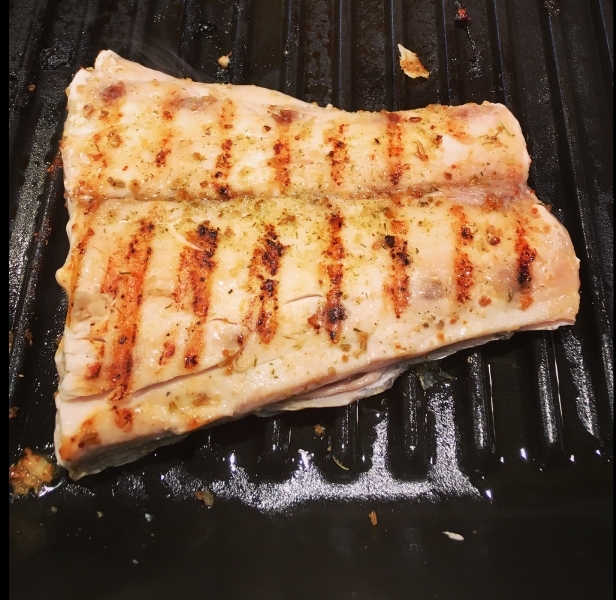 Grill fish, flesh-side down for 4 minutes. Flip over and finish cooking until fish flakes easily with a fork. To Serve: Toss the greens with the plum/onion vinaigrette and plate. Plate the fish filet and top with toasted pecans and chèvre. Garnish with balsamic vinegar and serve.